Meeting our private English-speaking guide at your Hotel’s lobby we will start together this half day tour. 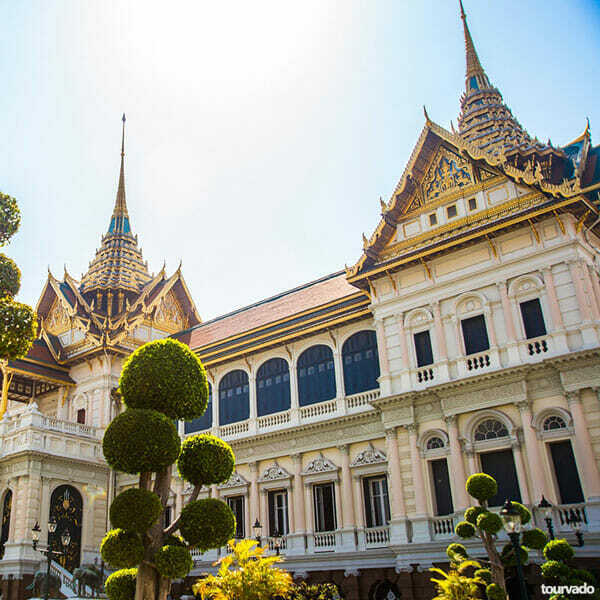 Departing from your Hotel we will reach Rattanakosin Island, over 200 years ago Bangkok was originally established as the capital in this exact area. 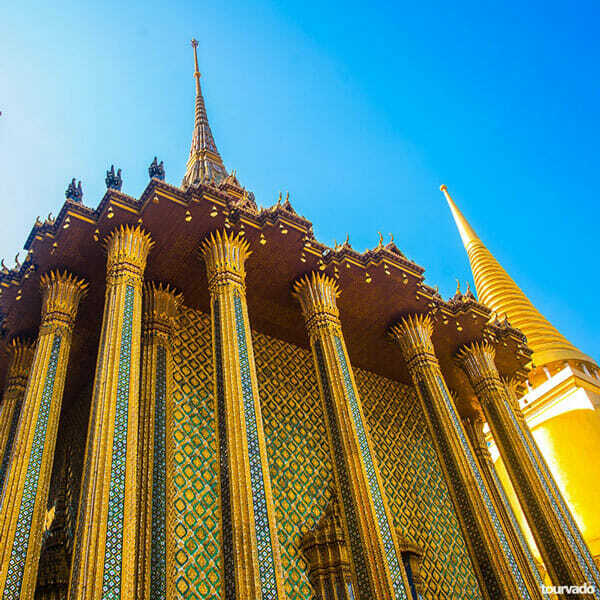 We visit The Grand Palace in his entire area land of 218,400 sq. metres and we will also visit it’s surrounding to see the beautiful structure walls built in 1782; the total length of the walls is 1,900 metres so sightseeing one part will be fairly enough. 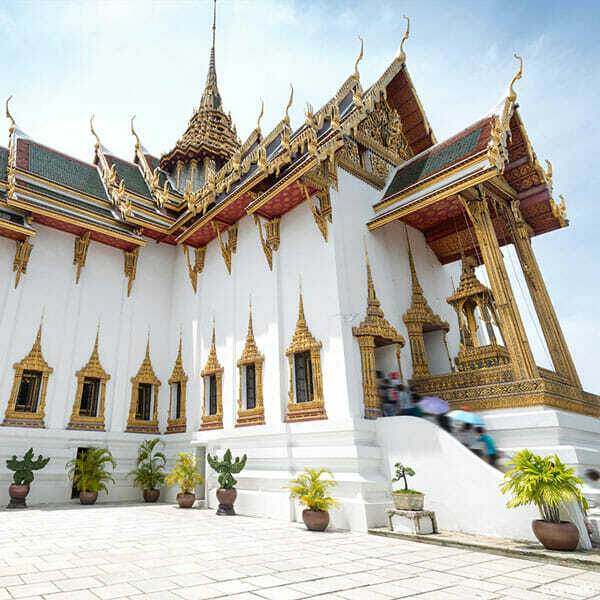 Within these walls now aday are situated several government offices and the Royal Chapel of the Emerald Buddha besides the famous royal residences. 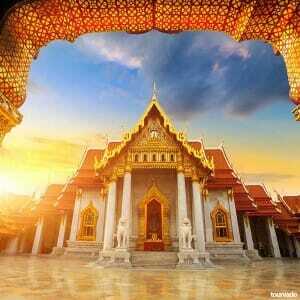 Wat Phra Kaeo is by far the most beautiful and well known Buddhist temple in Thailand. 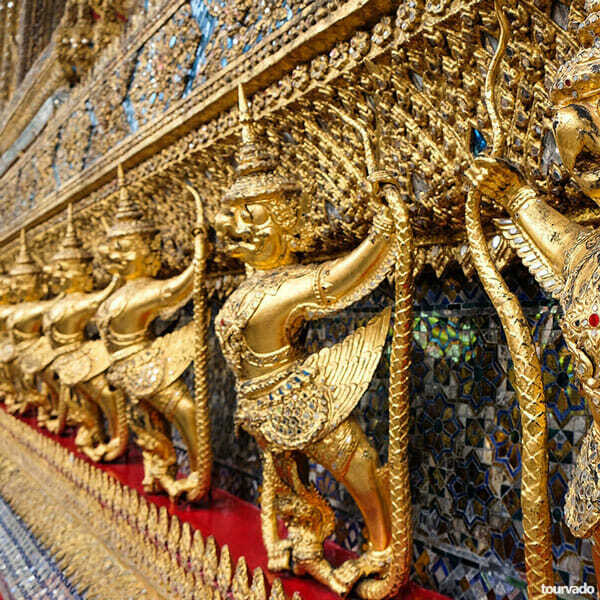 It is truly richly decorated and intricately handcrafted that, once you enter the temple, you will surely feel as if you are in a angels city. 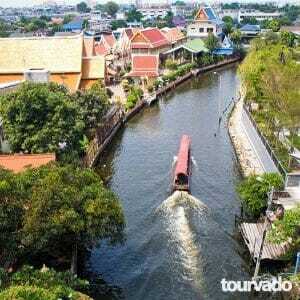 We will also continue the City sightseeing tour along Ratchadumnoen Rd. 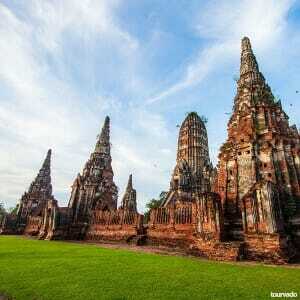 ( well known in Thailand as The Royal’s Way). On the way you will enojy sightseeing of many magnificent temples, many architectural buildings such as the City Pillar Shrine or the National Museum, the Democracy Monument, the Golden Mountain, the really popular Thai Boxing Stadium, you will also see the Anantasamakhom Palace as the Parliament House, continuing to the Dusit Zoo and Chitlada Palace King’s Residence. At the end of tour will be visit the local product store so we will tranfer to your hotel. 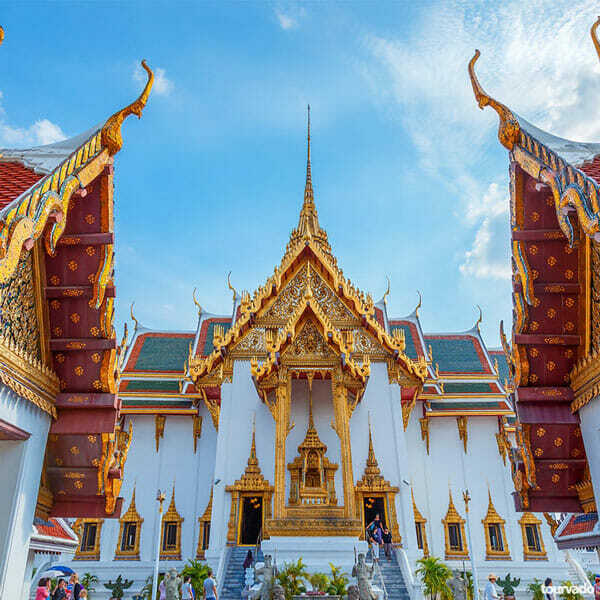 Dear guests use this wonderful Bangkok Half Day Grand Palace Tour as your own perfect introduction to Thailand and to the Buddhist faith, to the regal splendor and Thailand traditions. 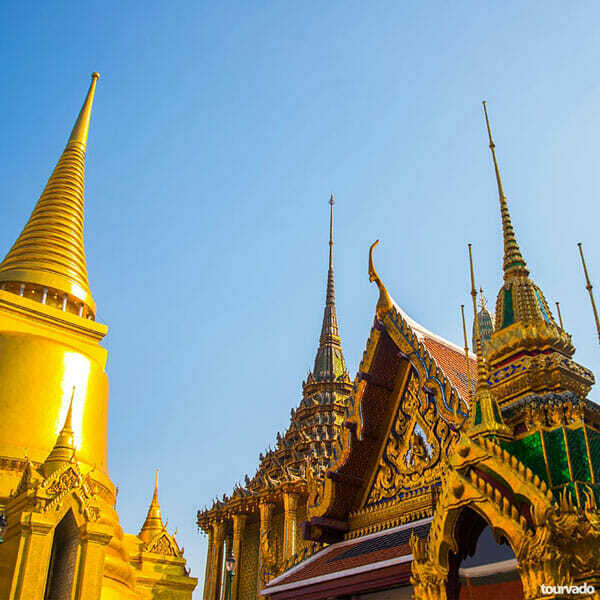 The Royal Grand Palace is the most important monument in Bangkok and the original royal residence is main symbol of the kingdom. 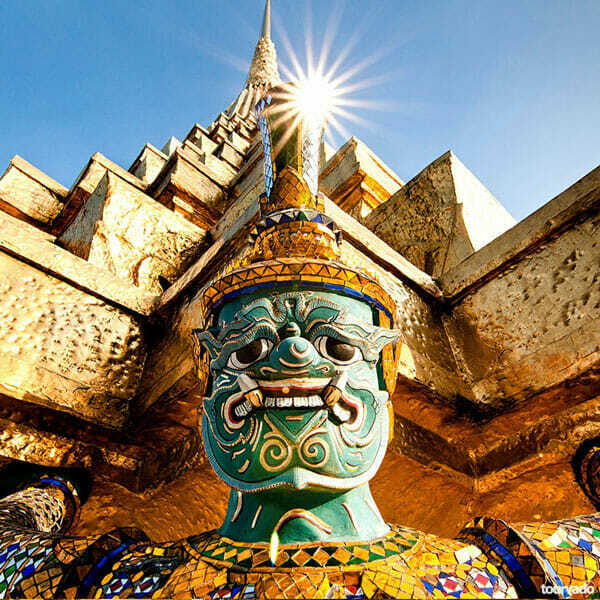 With this tour you will visit this key attraction all around the Grand Palace including Royal Pantheon, Coronation Throne Hall, Wat Phra Kaew Temple of the Emerald Buddha, the Royal Reception Hall, for last the Royal Funeral Hall. Gorgeous palace! Well worth a visit in Bangkok. It is a place of amazing history, architecture, and treasures. A very big complex so be prepared to walk a lot. Mostly anything can be photographed. 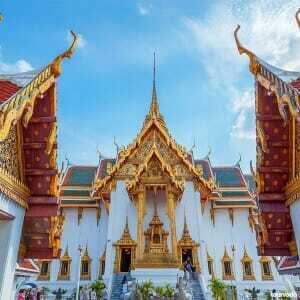 The iconic place in Bangkok. 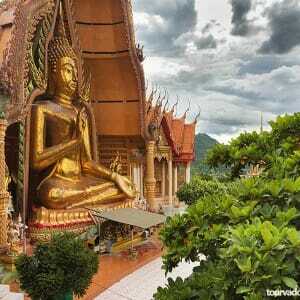 One of the best artistic masterpieces are the murals around the temples Was a lovely visit followed by the temple of the Emerald Buddha which is part of the complex too. The domes are made of broken China mosaics and such intricate designs all around. Along with the big guarding statues who ward off evil spirits. What a fantastic place! Prepare your self to walk around. Lots of people. The buildings are beautifully preserved. One of the best attraction I have been. The wall paintings are exquisite. Make sure that you’re not wearing , shorts, jeans, or clothes that are too revealing. 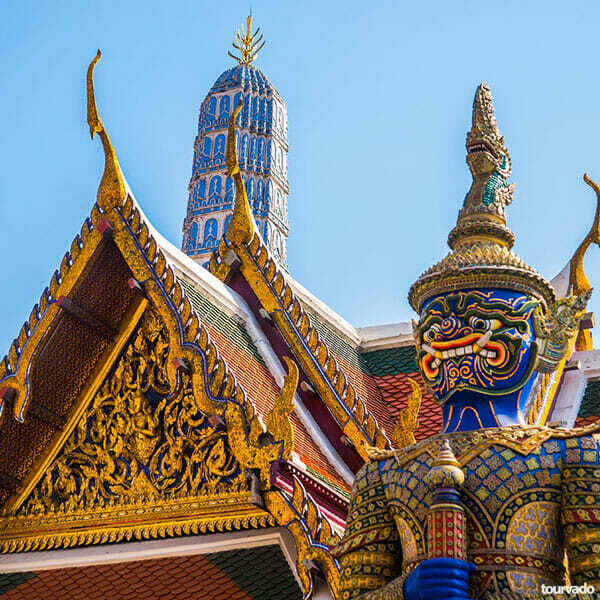 Magnificent structures showing the intricate arts of Thai people. It’s a very very huge place! Everything is so rich and detailed. Glorious! Worth the trip.